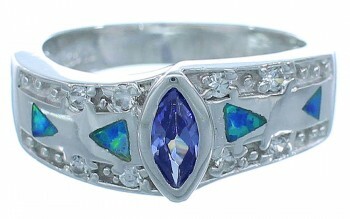 Sterling silver, Blue Opal, Tanzanite, and Cubic Zirconia. 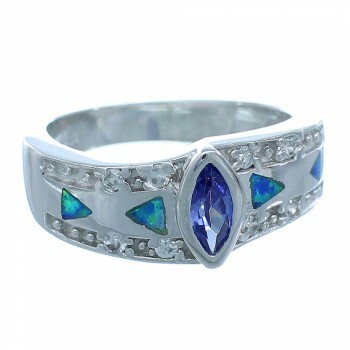 You are sure to appreciate the marvelous features in this ring! The ring is made out of genuine sterling silver, man made Blue Opal inlay, along with Tanzanite and Cubic Zirconia stones. 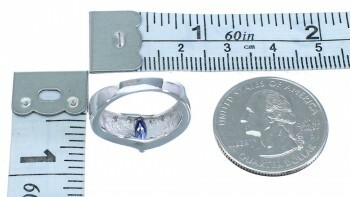 ONE Tanzanite stone is gently set in a silver setting and placed at the center of the ring, while being highlighted by EIGHT Cubic Zirconia stones. 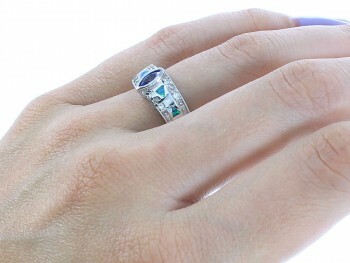 The inlay is carefully set in a lovely design for a great finish. 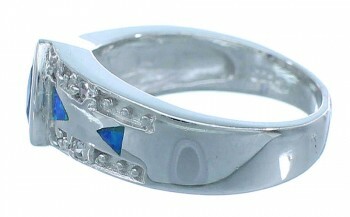 The ring has a total of NINE stones. The ring is stamped .925 (sterling silver).